Reducing production costs has always been an important topic for ceramic manufacturers. There are many ways to reduce costs, but it is not always so easy to do so when you want to achieve high quality results. We can give you a few tips to reduce your manufacturing costs without affecting the final product. This month we will go over cost reduction in both decorative tile and brick and roof tile production, so don’t miss our blog posts! This month we will talk about kilns. From their importance during the manufacturing process of both bricks and tiles, to new kilns and trends we can find nowadays. We have asked some questions to our ceramics experts and here is what they have told us. QUESTION OF THE MONTH: What are the latest trends in decorative ceramics? Last week we were lucky enough to visit one of the most important ceramic events in Spain, Cevisama, where we could foresee what the future of ceramics will look like. During 5 days, manufacturers exhibit their products, where large sizes and high definition printing continue to reign. So, what are the main trends we could see there? 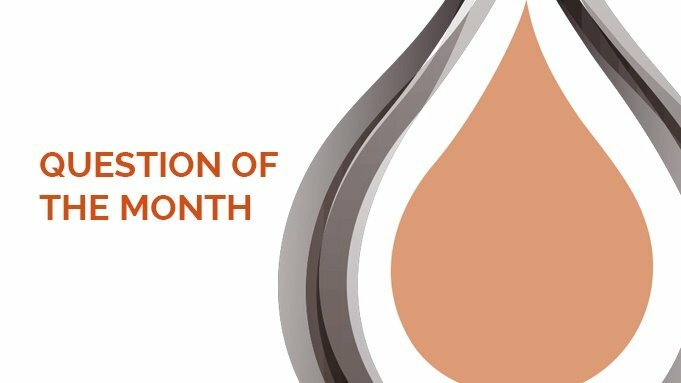 In today’s question of the month we talk about bricks and challenges of manufacturing. During last year we wrote several articles on bricks; how to optimize production, how to increase extrusion rates and how to reduce cracking... This month we will talk about brick manufacturing and how to improve the process. We're getting very close towards the end of the year and inspired by the Christmas lights and the chilly weather we have decided to make a "Question of the Month - Christmas Edition". In this special edition we have gathered all of the questions received during the year to prepare a Top 5 FAQs regarding clay conditioners. Are you curious about clay conditioners? Keep reading! QUESTION OF THE MONTH: How can I reduce the drying time of my production? Reducing the drying time of ceramic production is something that many manufacturers aim. However, it is not easy as it requires optimizing the drying parameters such as temperature, relative humidity, and air movement. It involves many variables, but we can tell you some effective tips to acheive your objectives. QUESTION OF THE MONTH: How does a clay conditioner work and what is the benefit? Using a clay conditioner can help in different ways depending on what stage of the production process you use it in, what type of clay you have or even the type of clay conditioner itself. QUESTION OF THE MONTH: How can I know what is the best product for my process? There is a wide variety of conditioners available in the market, but it's not always easy to find the right one for your clay specifications. Our technicians have experimented with different products and clays and they have a few comments to make. Large and thin tiles are one of the most important trends in the ceramics market right now, as we have already talked about in this blog. However, the manufacturing of these thinner tiles can be tricky, and maintaining the quaity is a challenge. QUESTION OF THE MONTH: How can we measure results of a clay conditioner? Clay conditioners can bring several benefits to your production process, but how can you measure effectively its effects on your specific process? We have asked this question to our R&D experts in the ceramic lab and this is what they have answered. BioKeram is a new range of products from Borregaard, the world's leading supplier of high performance biopolymers to the ceramics industry, with more than 50 years experience in the ceramics market. With this blog we aim to share our knowledge regarding ceramic process optimization.